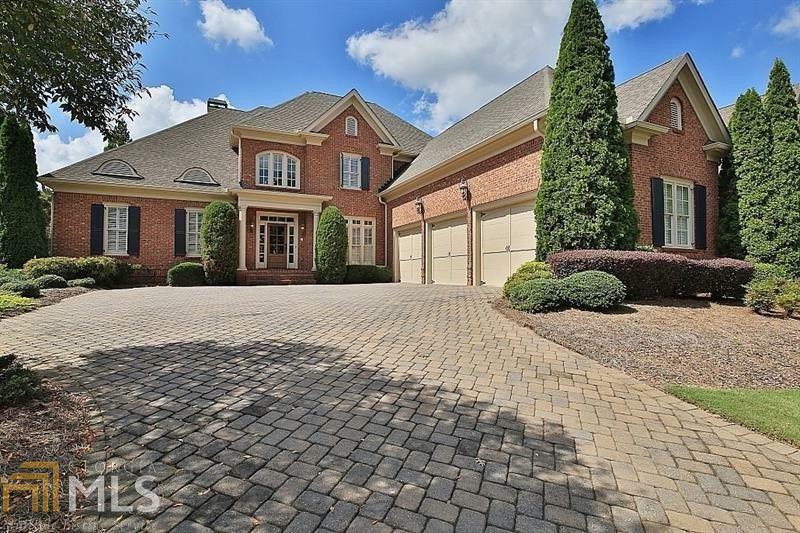 Elegantly appointed 4-sides brick home w/gorgeous golf views.Enjoy the resort life-style with your back covered porch and sparkling pool-n-spa! Open & welcoming foyer sets the tone for the home. Banquet-sized dining room w/adjoining butler&apos;s pantry. Spacious great rm w/coffered ceiling and fireplace. Roomy chef&apos;s kitchen w/stainless appliances opens to sunny keeping room. LARGE pantry. Luxurious master suite w/spa-like bathroom and sizeable closet. Three bedrooms plus loft-office upstairs! Directions: I-85 North To Sugarloaf Parkway West. Left Into Community. Left On Grady Ridge Drive. House Will Be On Right.